There is an outstanding super welterweight triple-header on the schedule this weekend in Brooklyn. In terms of overall quality, this will likely be the best boxing card of 2017. 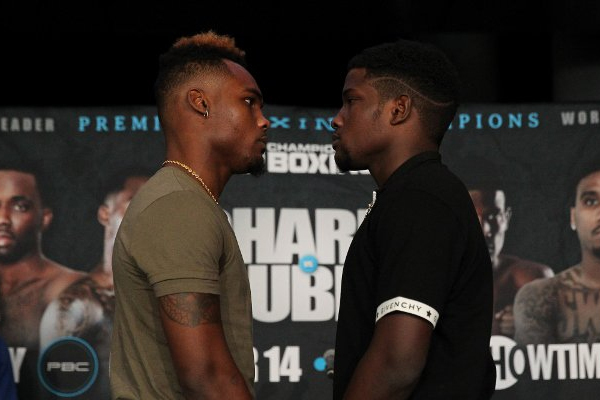 And without question, the biggest jewel of the night will be Jermell Charlo vs. Erickson Lubin. Now 27, Charlo has established himself as a top-level talent at 154 pounds. He has shown glittering boxing skills against contenders like Gabriel Rosado and Vanes Martirosyan. In the one fight where he was less than dazzling, against John Jackson in May 2016, he managed to pull out a brilliant Round 8 KO. That win garnered him the vacant WBC trinket. Lubin should be his toughest test to date. At the same time, Charlo is a major step up in competition for Lubin. At 22, Lubin has been viewed as a potential superstar since he was a teenager. He made his professional debut less than two months after turning 18. So far he is 18-0 with 13 KOs. Lubin has looked outstanding against experienced veterans such as Orlando Lora and Daniel Sandoval. He has dominated stepping stones like Jorge Cota and Ivan Montero. It is an appropriate time for him to face another top contender. Charlo vs. Lubin is exactly the type of fight that boxing needs. For the sport to thrive, top fighters need to fight top fighters. This is particularly true at super welterweight. With Canelo Alvarez now officially campaigning at middleweight, there is a vacancy at the top of the division. The action this weekend in Brooklyn will not fill that top spot. But it will certainly move us in that direction.